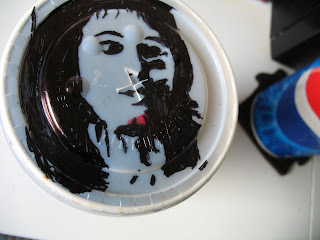 winona ryder as lydia from "beetlejuice" on a lid. when i was in college, my stepmom always used to say that she thought i looked like winona ryder in her early roles. i wouldn't (and didn't) place much stock in that assessment, however, because she has really poor vision.